Can't attend? Follow Kelas Kaseh to know of future events! Kelas Kaseh is an educational community that envisions the empowerment of education for the underprivileged through volunteerism. We provide free classes for orang asli students in primary school and secondary school for them to improve their academic performance out of school. 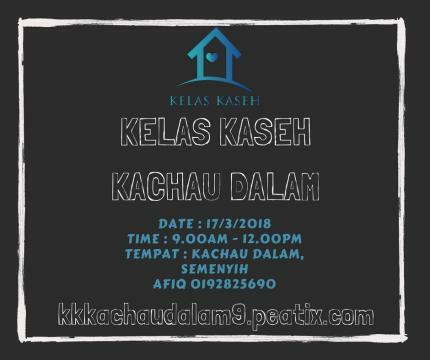 We are opening up registration for volunteers this week in Kachau Dalam, Semenyih!